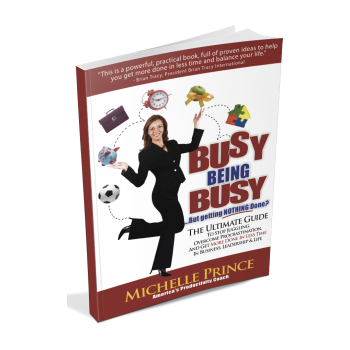 In her newest book, Michelle Prince shares powerful tips and techniques to make you more productive in your personal and professional life. She will show you the way to get more done in less time while still enjoying the journey. Put down those juggling balls and walk with Michelle to overcome procrastination and take action now!